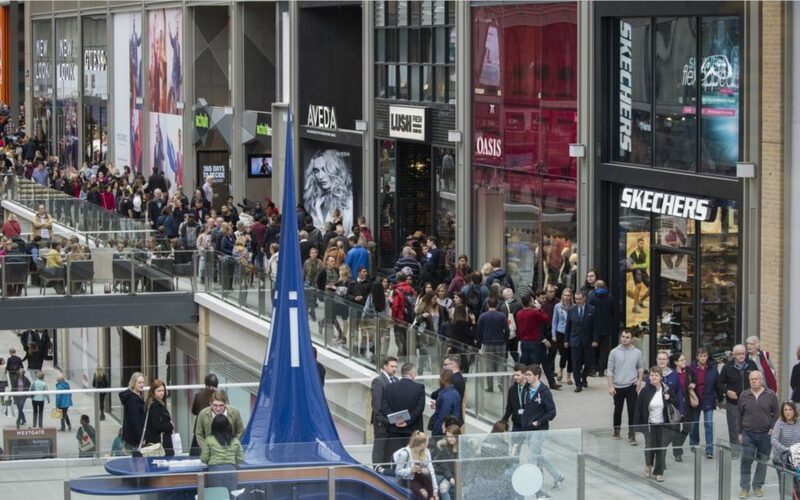 With the recently opened Westgate Oxford shopping centre, is Oxford fast become a shopper’s paradise? 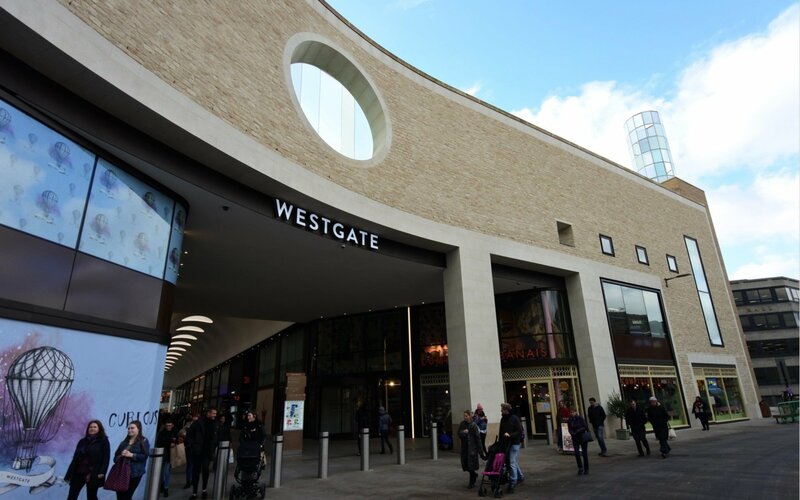 Opened in October 2017, the Westgate Oxford shopping centre is 800,000 sq. ft. of upmarket and high street retail brands, an eclectic mix of restaurants and cafes, as well as a five-screen boutique cinema. Architecturally, the Westgate Centre comprises four separate but interconnected buildings, which gives an outdoor, fresh air feel to the place. The buildings don't make a bold statement on the cityscape, nor do they distract from its historic charm. 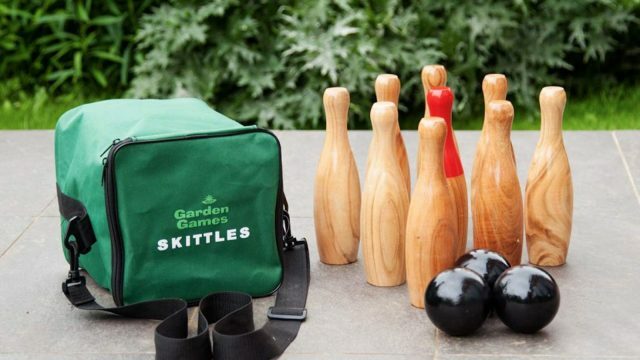 It's pure function over form, and there's definitely no "marmite" effect to them. I can't help but feel that the developers played it too safe, and these buildings aren't getting iconic status anytime soon. 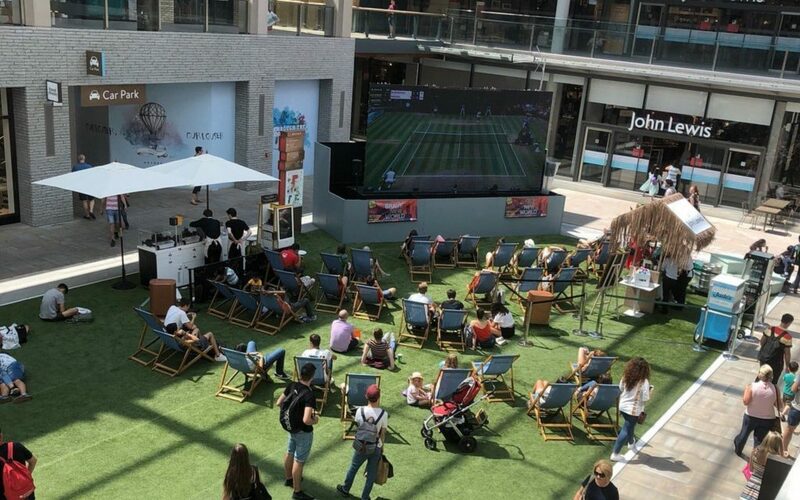 From a contextual perspective, the centre seems to have a focus on shopping as well as leisure and entertainment – positioning itself as a destination in its own right and not just a place to shop and eat. But this is equally true of other retail destinations that have built a portfolio of experience-oriented brands on their premises. With one or two exceptions, all the businesses in Oxford’s new Westgate are predictable national chains, with a freestanding 125,000 sq. ft. John Lewis anchor store at its heart – fulfilling Oxford’s desire for a John Lewis store. A number of the other shops have relocated from other parts of the city centre - so they are not truly "new to Oxford". 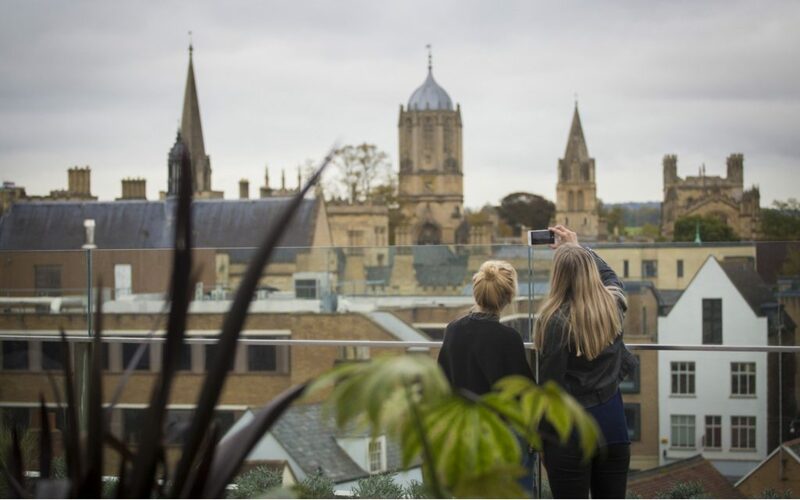 The Westgate has a large roof terrace with arresting views of the Oxford "dreaming spires" skyline. There's an array of restaurants and eateries on the roof terrace - which was perfect for a spot of lunch and coffee after a couple of hours wandering aimlessly (read window shopping) around the centre. An eclectic mix of eateries makes up the Westgate Social in the basement or lower ground floor area of the centre. Compared to the roof terrace, there is a distinct studenty vibe to the place, suggesting that it's aimed at Oxford's thriving undergraduate population. The centre itself was busy, it has to be said, but judging by the scant number of shopping bags, I couldn’t help but wonder how many people were there just to see what all the fuss has been about. One other thing that struck me was the amount of ongoing building works taking place. It seems the centre is still very much a work in progress. Westgate is in the heart of Oxford, so the most reasonable option for getting there is by via public transport. There is an underground car park at the centre which is set across two floors. There is a handy notification system on the centre's website that shows how busy the car park is. 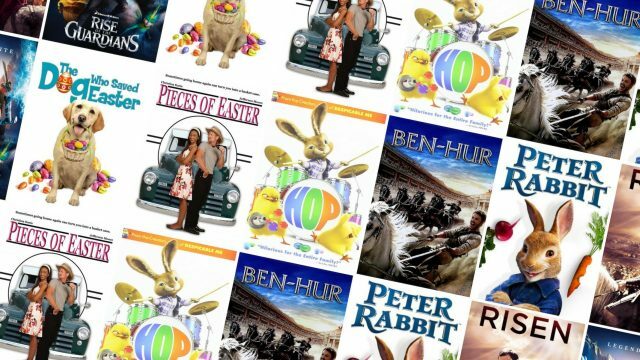 There are a couple of car parks nearby (Gloucester Green car park and Worcester Street car park), but overall car parking spaces are quite limited. Probably not. Overall, the retail shopping experience was not sufficient to entice me back into the city centre as frequently as it could. 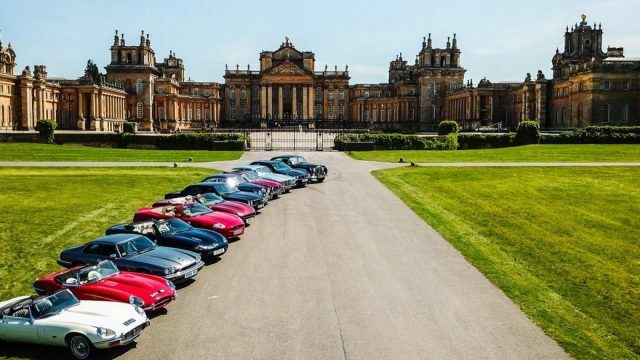 The reason for this – a slightly better than average retail offering, coupled with difficult and expensive parking - it just doesn’t seem to be worth the effort. I was in London when the Westfield in Shepherd Bush opened just up the road from the capital’s premier shopping district. Somehow though, they managed to get “it” right (I can’t put my finger on what “it” is) but the result is that they created something that was completely different and albeit more pleasant than Oxford Street. Regrettably, I don't know what the “it” is yet at the Westgate Oxford. I can understand that Oxford city centre needed to stand up against ever-expanding shopping centres nearby – think Bicester, Witney, and Swindon. Moreover, compared to what stood in its place before, perhaps someday in the near future, we’ll look back and see that the new Westgate was indeed a catalyst for great improvements to the city centre. Westgate Oxford shopping centre is open from 10:00 am to 8:00 pm on Monday to Friday, 9:00 am to 8:00 pm on Saturday and, 11:00 am to 5:00 pm on Sunday.